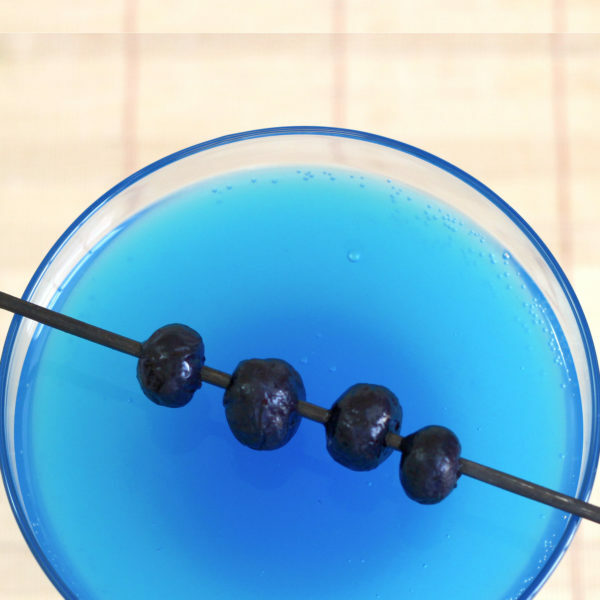 The blueberry vodka is clear, so the blue color of the cocktail comes from the half-ounce of blue curacao. Between the curacao and the 5 ounces of Sprite, there’s a lot of citrus flavor competing with the blueberry here. 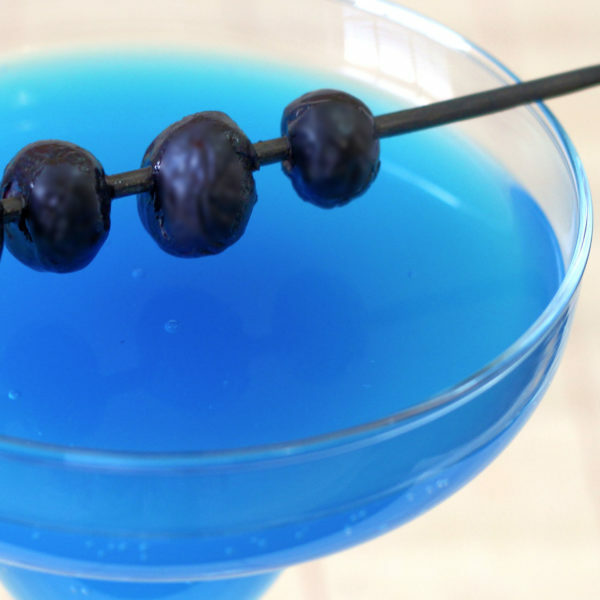 The blueberry is still the top note, with the citrus tang following. Because most of the flavor is coming from a vodka, this drink is sweet, but not cloying or syrupy. 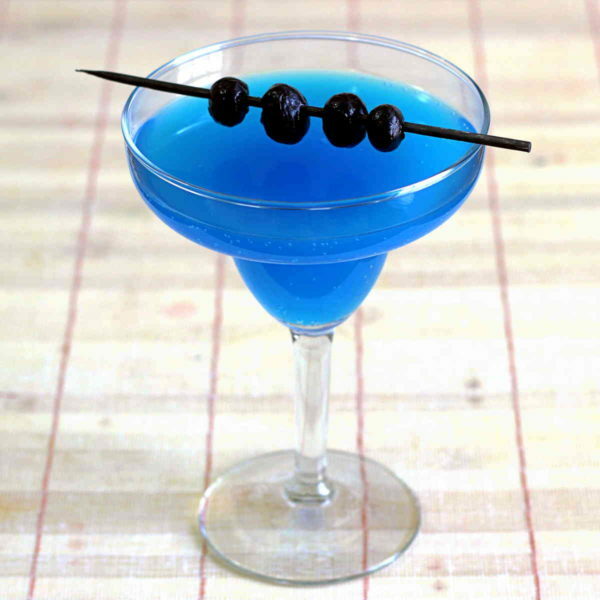 While it looks beautiful and classy, the sheer yummy-ness makes me think of this drink as more casual. Great to pair with a burger and fries, or pizza. It can be a hit at a backyard barbecue or a simple party with friends. Fill a cocktail shaker with ice and pour in all the ingredients. Shake until chilled, and pour into a margarita glass. Top with Sprite.